In regards to the previous films within Pawl Pawlikowski’s filmography, I have seen two of his previous three, with polar opposite reactions. I absolutely adored his 2004 film, “My Summer Of Love”, but equally hated his follow-up film, “The Woman In The Fifth” (which came out in 2011); a film I could not make heads or tails out of. 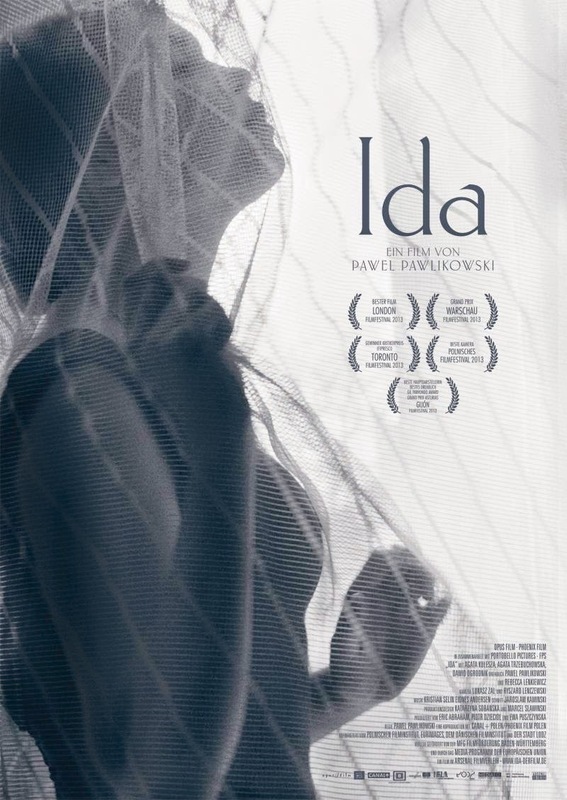 To say I was undecided on Pawlikowski as a filmmaker was an understatement, but when news came out that he had made a new film, “Ida”, I was certainly interested. The film then started getting some seriously good reviews, and my anticipation grew, and when I saw the film’s trailer for the first time, I knew that “Ida” was going to be one great film. “Ida” is set in Poland during the 1960’s, where at the beginning of the film we meet our main character Anna. She is a sister at the convent she has lived at all her life, and is on the verge of taking her vows and becoming a nun. After a meeting with her Mother Superior, Anna is given the name of her only living relative, Wanda Cruz; her aunt. She is told to meet this woman before taking her vows which she does. Upon meeting for the first time, Wanda tells her niece that her real name is Ida and that she is in fact a Jew, and that her parents were murdered during the war. Together, Wanda and Ida then go on a journey to discover how they died, who did it and where they are buried. The journey uncovers secrets and guilt from the recent past that will affect the two women forever. As almost everybody reviewing “Ida” has said, this is a stunning film and so very sad. It seems that the plight of Jews during World War II is ripe material for filmmakers, with the sheer number of films made about the subject, but Pawlikowski’s handling of the material is beautifully subtle focusing on the intimate nature of the story rather than the grand scheme of things. The film is Ida and Wanda’s story, and it is deeply personal, but sadly it is only one of many similar stories from this time. It is also a very personal story for director PawelPawlikowski for the simple fact that he is telling a Polish tale during a dark moment in their history. Although Pawlikowski is from Poland, “Ida” is the first time he has set or shot a film in the country and he does an amazing job of evoking the period that the film is set. His decision to shoot in black and white and in the square Academy ratio is paramount to the success of the film, as it gives the impression that what we are witnessing actually took place in the 1960’s. Being that the subject is a grim one, you know from the start that the journey you will be taking with “Ida” is an emotional one. Although the film is called “Ida”, the film is equally Wanda’s, with her character suffering the most throughout the film, mainly from guilt. Wanda is a judge, who in the previous decade was known for her tough as nails approach to the job, sentencing to death many people for their association with the war. She is incredibly cold, even towards Ida, and has a dependence on alcohol which she uses to deal with the pain and guilt from her past. You can see from the start when Ida gets there, she does not want to go back and deal with that time in her life again, but she begins to thaw and I think by helping Ida, she feels some redemption for her past actions. Ida on the other hand starts the film naïve and ends it with a greater sense of self and understanding exactly who she is and where she came from. While she admits to having sinful thoughts at times, she doesn’t appear to act on them ever, which gets her aunt to ask her how her vows be considered a sacrifice, if she doesn’t know what she is sacrificing. This seems to strike a chord with Ida, and towards the end of the film she attempts to experience more of life before becoming a nun. Even though the heavy topics of faith, religion, personal survival during wartime, genocide and guilt are at the forefront of this film, Pawlikowski attacks these subjects with the lightest of touches. He is never making a statement via sledgehammer tactics, instead he presents the world and his characters within it in shades of grey. No one is completely innocent in the world and those that are guilty felt it was the right thing to do at that time, and now have to live with the consequences of those actions. From an acting standpoint, “Ida” is amazing as our two lead actresses are brilliant and emotionally devastating. They are also completely different from each other. Agata Trzebuchowska plays the titular Ida and is stoic in the role. Her movements are minimal, as she is often very still, and her dialogue limited. Her performance is mostly played out over her face as she very adeptly showcases how her character is feeling at any given moment by the smallest of gestures. It is a very internal performance, which is mainly due to the fact that Ida is a character who prefers to watch as opposed to getting involved in a situation. The character of Wanda on the other hand is much more external in the way she presents her emotions and Agata Kulesza’s performance in the role represents this in a very truthful manner. She portrays the character as someone who likes to be on the move, I guess in an attempt to not have to think, always talking and falling back on booze and cigarettes. She also doesn’t mind being intimate with men when given the chance, just to feel something. Wanda’s grief and pain in the film, though is the most painful a person can endure, making it understandable in the way she goes about life now. Kulesza has the most heart-wrenching scene in the film, which amazingly Pawlikowski doesn’t overplay at all, when she wraps a skull in her scarf, clutching it to her heart whilst slowly walking away. Your heart breaks for this woman in this moment, and yet Pawlikowski doesn’t attempt to manipulate his audience into feeling this at all; he respects his material and characters plight enough to know that what is going on is devastating enough on its own. Visually, “Ida” is a sight to behold. It is one of the most beautiful films I have seen in a long time. The black and white photography is perfect to convey the grey tones within the narrative, but also to capture the snow covered locations of Poland, where the story is set. Pawlikowski’s framing is intriguing because a lot of the times he has his actors towards the bottom of the frame, most times either left or right of frame, with their surroundings enveloping them, making them feel small in a big world. It is like a visual statement that “Ida” is just one of many stories like this from this time in history. Pawlikowski will also at times have his actor’s features cut by the bottom of the frame, so the eyes of the character become the main focus. In fact his camera is used to focus more on the characters state of mind and psychological condition rather than the physical movements within the narrative. He uses close-ups extensively, to the point that it reminded me of Carl Theodor Dreyer’s seminal silent film, “The Passion Of Joan Of Arc”. When focusing less on character and more on location, he also comes up with some ingeniously strange angles to shoot from. Overall, I though “Ida” was a stunningly beautiful film, albeit an extremely painful one. The film deals with a number of very heavy themes, but Pawlikowski handles these themes with such a light touch that you are never overwhelmed by them. “Ida” is anchored by two phenomenal lead performances and the cinematography by Ryszard Lenczewski and Luasz Zal is nothing short of astonishing. At only eighty minutes, “Ida” packs quite a punch and is sure to be one of the best films you may see all year. After watching Kiyoshi Kurosawa’s recent film “Real”, I was inspired to do a Kurosawa double feature and decided to watch his other new film from 2013, the crazy “Seventh Code”. While the film is no doubt a minor entry in the canon of this talented filmmaker (mainly due to its limited running time), it is also when of his most straight out entertaining. “Seventh Code” is about a young woman named Akiko, who leaves Japan and heads to Vladivostok, Russia in an attempt to track down a Japanese man she had a drunken dinner date with one month prior. It soon becomes apparent that the man, Mr. Matsunaga, may have dealings with the Russian mafia but this doesn’t deter Akiko, who ends up getting kidnapped by the mafia after following Matsunaga to one of his “meetings”. She is tied in a potato sacked and dumped on the outskirts of town, her passport and belongings stolen. Having nothing to her name, she begs the owner of a Japanese restaurant to let her work there due to the fact that the shop has a large window looking out to the busy street. Akiko assumes that Matsunaga will have to pass the window at some stage and her quest can then begin anew. This is such a crazy film from Kurosawa and I have no idea how this film got made. It is unlike any other film, particularly due to the fact that it only runs for sixty minutes. Yet in those sixty minutes so much happens to the point that “Seventh Code” felt like one of those old serials, where something big happened every ten or so minutes to conclude that episode on. The same happens here, with the film twisting and turning every ten minutes and just when you think you have a handle on exactly what is happening, it changes again. It almost felt like Kiyoshi Kurosawa had a list of things he wanted to put into a movie, and he just went down that list and did each one. It sounds like chaos but it actually makes the film a lot of fun. It also doesn’t take itself too seriously which is a huge plus; it is made only to entertain. Kurosawa has stated that he made the film because he wanted to showcase all of Atsuko Maeda’s (his main actress) skills. In that way, he certainly succeeds because she is given plenty to do in the film besides just emote. Like normal for a Kurosawa film, his visual style stands out beautifully in “Seventh Code”. I really love the way he uses space and geography in his films, and how he lets his characters inhabit them. He is a master at using very wide angled images, with the action happening within them dwarfed by their environment. An example of this is when Akiko is dumped from the truck in the potato sack. He shots the scene from such a distance, that it is hard to determine exactly what has happened at the start, but we are also witness to the cold and desolate environment where everything is happening. It just gives the film a sense of place and space. When shooting interiors, Kurosawa always surprises with interesting camera angles and moves and his design team have done a stunning job of creating and dressing the locations. The visual highlight of the film though is Mr. Matsunaga’s apartment with its billowing orange curtains blowing in the breeze. One of the joys of “Seventh Code” has to be the film’s inventiveness. Kurosawa turns the ruins of an old Russian factory and treats it like it is a high security facility for the mafia, and all this is done via a keypad on a door-less entry of a building and a few sound effects. It is genius actually, and I cannot think of anyone else who would have the balls to pull off such a trick, but you actually believe that no-one could get through that doorway without putting in the right code. For pure inventiveness though you only have to look at the insane storyline which starts with what appears to be a woman searching for the love of her life and ends up becoming about a spy trying to track down a nuclear weapon so it can be destroyed before being used for evil. Amusingly Kurosawa has also proudly stated that “Seventh Code” is his first action film, which may be a stretch as there is really only one scene of action in the entire film, although it is handled with aplomb and is quite the surprise. As I said, Kurosawa made “Seventh Code” to show off the skills of Atsuko Maeda and she is absolutely adorable in the film. She impressively speaks both Japanese and Russian in the film and even gets to kick a bit of arse towards the finale. Performance wise she is excellent and fluid, changing her character with the beats of the film as it changes also. While I am not sure about the music video style finale of the film (Maeda is also a singer, apparently), the film’s actual finale that plays over the song is very funny mainly due to the final cheeky look Maeda gives to the camera. Also the last explosion in the film is very Kiyoshi Kurosawa. The other characters and actors have less to do but all do so with style but I must point out the gorgeous Chinese actress Aissy who plays a co-worker of Akiko’s from the restaurant. She is just stunningly beautiful. Overall, I thought this odd entry in Kurosawa’s filmography was just a blast. 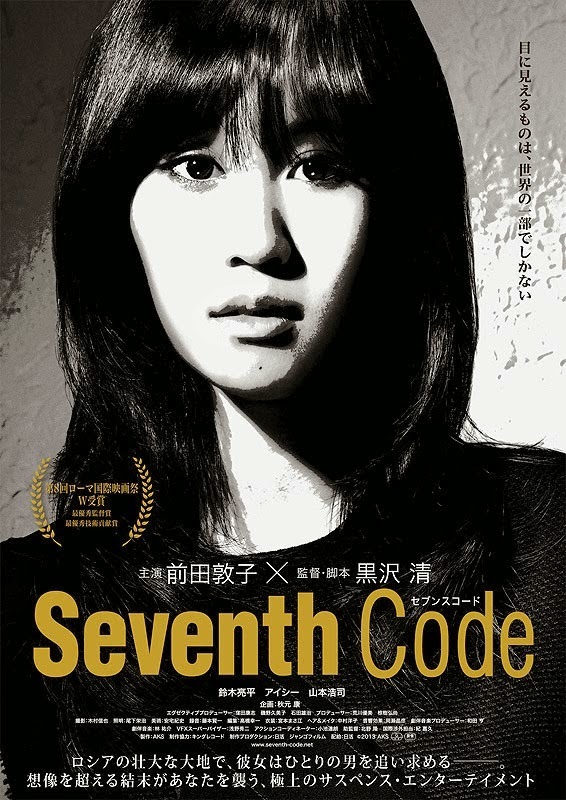 “Seventh Code” only runs an hour and as such is entertaining its entire running time. The film is full of twist and turns keeping audiences on their toes, but it is nothing to take seriously and the film knows it. While a silly little time waster, it does have a few messages; firstly an anti-nuclear one, and also the fact that I think Kurosawa believes that youngsters should stand up for what they believe in and attempt to get the power they need to change their world. The only thing I do not understand is why the film is called “Seventh Code”. This is minor Kurosawa but bloody entertaining Kurosawa. Back in the day I used to be a massive fan of Kiyoshi Kurosawa and his films, but like with most of the Japanese filmmakers I used to adore, my passion for his work seemed to dissipate recently. For some reason I felt like I was neglecting his work, and the anticipation I used to feel for one of his films was no longer present. However after looking through his filmography, I noticed this wasn’t really the case, as with the exception of his five part television series “Penance”, the only recent film of Kurosawa’s that I had not seen was his 2008 film “Tokyo Sonata”. Since that film Kurosawa seems to have taken something of a sabbatical from feature filmmaking, with “Real” being his first film in five years. Normally I would be chomping at the bit to see a new film from Kiyoshi Kurosawa, but unfortunately “Real” has been met with quite mixed reviews tending to be skewed more towards the negative, and because of this, even though I have had the film on blu ray for some time now, I hadn’t felt compelled to actually watch it. Anyway, that all changed the other night, and whether or not it was because my expectations were lowered, I ended up enjoying “Real” for the most part. Koichi and Atsumi have been friends since childhood, and as they grew older, this friendship blossomed into love. The two of them lived together in a small apartment where Atsumi, a famous manga artist, worked. They lived a happy normal life together until a year prior to when the movie begins, Atsumi attempts suicide only to survive and end up in a coma. Having not woken during the year, doctors decide to try an experimental approach called “sensing” where Koichi is able to enter Atsumi’s subconscious and talk to her in a kind-of dreamscape. The purpose of such a thing is to determine why Atsumi did what she did, and to attempt to get her to wake up. Whilst in this dreamscape during one of the “sensing” sessions, Atsumi asks Koichi to find and bring to her a drawing of a plesiosaur that she drew back when they were kids; a drawing she considers to be perfect and holds the key to unlocking a trauma from her past. 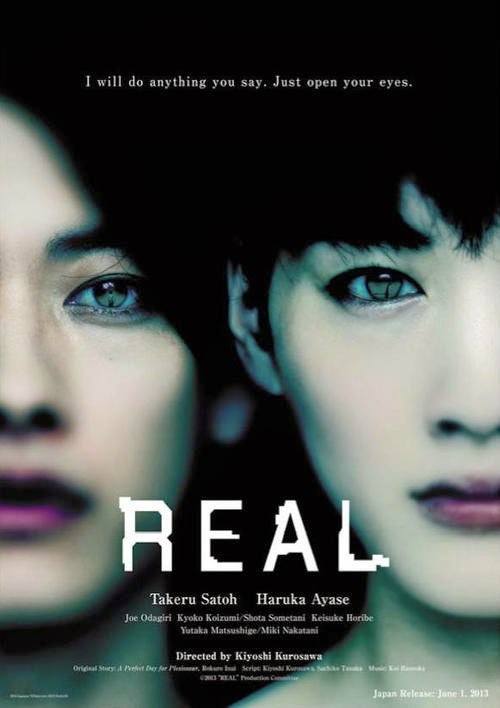 Despite all the negative reviews I have read for “Real”, I actually really enjoyed it for the most part. While I would agree that this is not Kiyoshi Kurosawa at his best, it is none the less a fine effort. The concept behind the film is actually very intriguing, being entered into someone’s subconscious in an attempt to bring them out of a coma, and is not unlike a similar concept seen in Kristina Buozyte’s recent “Vanishing Waves”. Personally I prefer Kurosawa’s take on this concept, as like in most of his films, he seems to have a grasp on the psychological impact a trauma has on a person’s brain or mind. In regards to the technology involved in “sensing”, Kurosawa wisely never wastes time explaining in detail how it all works. We, as an audience, just must go with it, and from a visual standpoint, the machine comes across as very sleek and modern, and full of purpose. Also when we enter Atsumi’s subconscious, Kurosawa doesn’t go over the top with the visuals. Most of the conversations take place in a projection of the couple’s apartment, with its design again very sleek and paired back. From time to time, the apartment gets flooded seemingly indicating that what is disturbing Atsumi has to do with water, and there is a moment when a sealed room appears in a wall that was not there seconds before. One interesting thing about the “sensing” process is when Koichi suffers from side-effects that occur either during the process or after, and consist of disturbing images that Atsumi is drawing for her manga, manifesting themselves and becoming very real. While these images themselves have no power or relevance within the real (or imaginary) world, just witnessing these dark images is enough to rattle Koichi and fear for his girlfriend more. Unfortunately not enough is done with this cool addition to the film, and seems to have only been put into the film to create a sense of dread or fear. While this is a shame, I must admit that the images of distorted bodies we are witness to is very cool indeed. While it has been a long while since I had seen a Kiyoshi Kurosawa film, as soon as “Real” began it all came back to me. He has a very particular style that is easily identifiable as his own, but I must admit that I had forgotten just how visual a storyteller he really is. His shot selections particularly are amazing, always choosing interesting angles to tell his story particularly to emphasise the psychological aspects of his character’s trials. He has always had a clean style to his films that can sometimes come across a little cold, and he seems obsessed with ruins of old buildings and yet again, these visual ticks show up again in “Real”. One thing that I did hate about the film was the shots from inside the car of the characters driving. They were so badly done and obviously very fake, that they looked like something out of a bad videogame. While I stand by this negative reaction, the reveal towards the end (which I will not ruin) may explain and excuse why these scenes looked so bad. Other than that I thought the special effects of the film where handled brilliantly using the less is more approach, which is something Kurosawa seems to be a fan of. The CGI at the end was executed very well and I loved a scene of the Tokyo skyline “melting” as if like a painting destroyed by water. It is an outstanding image. In terms of performances, I was impressed by Haruka Ayase who plays Atsumi, who has to portray the character in two different ways, from when she was normal to when she was mentally disturbed, and she is believable in both. I particularly liked her confusion early whilst in her subconscious and later, during her realisation that nothing was real and thus she could do whatever she wanted with no repercussions. Takeru Sato, who plays Koichi, however was a little too one-note throughout the film for me, which was a little frustrating because it is his character that evolves the most and yet his performance never changes or grows. He just didn’t bring enough weight to his role, which is sadly key to the film working. The main problem with the film though is its length, with “Real” being at least twenty minutes too long, and its superfluous ending. While I enjoyed the scenes with the plesiosaur in and of themselves, they went on far too long and felt like they came from a different movie entirely. Personally I felt these scenes should have been excised completely because they take away from the true ending of the film. I also felt that the reveal of what is behind our protagonist’s trauma to be totally anticlimactic and also a little easy to work out. The other big reveal in the film I also found to be quite obvious, so I guess it is no stretch to say that you always seem to be one step ahead of “Real” and that the film holds no surprises. Overall, while this is not top notch Kurosawa, “Real” is still not the disaster everyone has been reporting. It has been more than competently directed by Kurosawa, it is just that it doesn’t really add up to a whole lot. The actual concept of the film is intriguing and by the end, you wish more had been done with it. 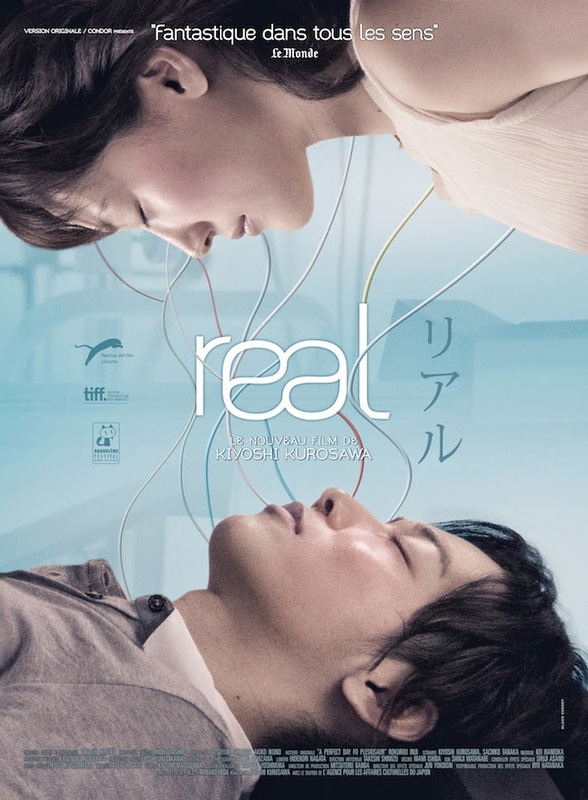 The film is far too long, and has quite a poor ending, but at the end of the day, I still enjoyed “Real” and was happy to have just watched a new Kiyoshi Kurosawa film. Being a massive fan of Wes Anderson and his films, it was quite a shock when, unlike the rest of the world, I found myself less than impressed with his previous film “Moonrise Kingdom”. While I was definitely in the minority, with most people counting the film as the director’s best, I just found the film to be too self consciously quirky for its own good, and the (over) stylization of the film ended up suffocating the emotional drama within. What is most surprising about this is that it is these quirks and his exact visual stylisations of his films that I usually find the most endearing about Anderson’s features, and yet with “Moonrise Kingdom”, I found these same things the film’s greatest deficiency. I was worried that Anderson had come as far as he could with his style of making films or I had just grown tired of it; either way it saddened me. Thankfully, Anderson’s follow up film, “The Grand Budapest Hotel”, has come out in quick succession and as soon as I saw the film’s first trailer, I knew that I was going to love this film; strange, considering it looked his most stylised film to date. The majority of the film is set in the early 1930’s in the fictional European country of Zubrowka, where we are witness to the many adventures of the famed concierge of The Grand Budapest Hotel, Gustave H. and his trusted lobby boy, Zero. The oddball couple find themselves mixed up in a story involving a murder mystery, an art theft, a jailbreak and a battle of wills in regards to a family fortune, all against the backdrop of impending war. After watching “The Grand Budapest Hotel” it goes without saying that my reaction towards “Moonrise Kingdom” must have been an anomaly because I absolutely love Wes Anderson’s new film, to the point that it may even be my favourite film from him yet. As the trailers indicated this is indeed Anderson’s most stylised film to date, but unlike the previous film, this style works in favour of the film, not against it. Whilst Anderson’s previous films have always been quirky, there was always a reality within them; be it the very human themes he was dealing with or the characters that inhabited his worlds. “The Grand Budapest Hotel” is pure fantasy, playing more like an animated film than anything that exists in the real world, and it is this reason that the stylisation within the film works so well. Anderson actually appears to be celebrating the artifice of the film, and of filmmaking in general of that period (the 1930’s) with his use of matte paintings and extensions, his use of models and miniatures and even the odd scene done via stop motion. In fact the film reminded me a lot of the British films that Hitchcock made back in the thirties which is a huge compliment. Even though I feel this is Anderson’s most stylised film to date, I also believe that he uses restraint in regards to this style beautifully. He seems totally in control of the film at all times, with his minute details and exact framing coming through in every shot, and yet it never feels overdone here. It goes without saying that the work done by Anderson’s greatest collaborator, Robert Yeoman (his cinematographer), is yet again exemplary. One thing I was happy to see go was Anderson’s fascination with the colour yellow, with “The Grand Budapest Hotel” using a slightly different colour palette than normal. While the film is still full of pastel colours, pink seems to be the dominant colour here with the hotel itself being that colour, as are the boxes containing the famous pastries used in the film. While I stand to be corrected here, I’m guessing that “The Grand Budapest Hotel” has the largest number of characters so far in a Wes Anderson film and amazingly all of these characters seem to be played by huge stars of both Hollywood and abroad. Anderson’s regular troupe of actors all show up here, some in blink-and-you will-miss-it roles, but it is always great to see Owen Wilson, Bill Murray, Adrien Brody, Willem Dafoe and Jason Schwartzman show up in these films. Anderson has yet again introduced a number of new faces into his team with characters also being played by Saorise Ronan, Lea Seydoux, Jude Law, Harvey Keitel and MatthieuAmalric to name but a few. However the greatest performance in the film comes from none other than Ralph Fiennes who plays our lead character Gustave H. He is absolutely hilarious in the film and for mine, this is his best performance to date. Casting directors need to take note at just how great Fiennes is at doing comedy, because in both this film and “In Bruges” he absolutely shines at his brightest, but it appears that he keeps getting relegated to the same stuffy type period roles. Anyway, the way he portrays Gustave is as a man who takes his job as concierge with the utmost respect and sincerity (which he expects from all his staff), and if he happens to get something out of it, it is all well and good. He also sees himself as something of a poet and his use of the English language is always of an appropriate nature although he is not above dropping the odd “F” bomb or making insulting generalisations if backed into a corner. What I also loved about Fiennes’s performance was the physical side he brought to the character particularly the ridiculous way Gustave ran. However, Fiennes is only as good as he is due to his partner he is acting with and the chemistry between he and Tony Revolori (who plays Zero) is sublime. The way the two bounce off of each other is hilarious particularly with the deadpan way Revolori delivers his lines. While the film is no doubt a “Wes Anderson” film, it is something of a departure for this talented director. 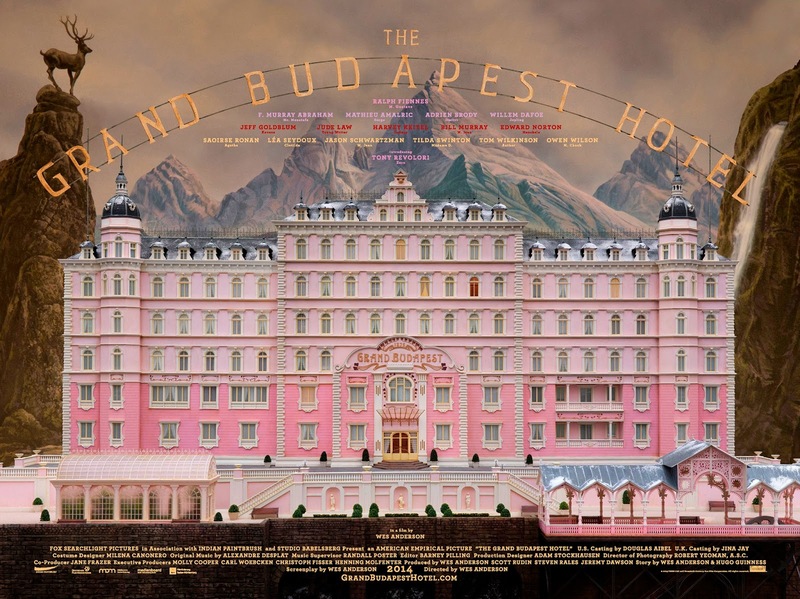 “The Grand Budapest Hotel” is his first murder/mystery and it is also his most violent film to date. At no times would you call the film a gore-fest, but there is enough blood and dismembered fingers within to differentiate it from the rest of the Anderson canon. The film also has a number of suspense sequences, including a spectacular one involving Jeff Goldblum’s character, and I must admit I was surprised at just how well Anderson was at constructing the sequences and maintaining the suspense throughout. It proves that there is more to Anderson than just the quirks and visual ticks of his films. Another interesting thing in regards to “The Grand Budapest Hotel” is the fact that the story is told across three different time periods, with Anderson differentiating each period by a different aspect ratio. The majority of the film plays in the 1930’s and during these scenes Anderson employs the Academy ratio or the 4:3 “square” ratio that was used in films of that era. The parts that take place in the 60’s and modern time are shot in the 2:35 “widescreen” ratio and the 1:85 ratio (of today’s television screens) respectively. While artistically the change in ratios is a great idea, it does seem to cause problems when the film is being shown theatrically. From a personal standpoint I must say that I like the fact that the old Academy ratio seems to be in vogue these days, and that more films and filmmakers are using it. It is great at showcasing depth in a shot and with the amount of detail Anderson puts into every frame of his film, it seems obvious that he would have no problem mastering the frame and that it would benefit him greatly. Due to the fact that the film is about a character reminiscing, there is obviously a sense of nostalgia in the story being told. The film takes place between two wars, and as such cannot have been the nicest of times, but due to the nostalgia infused into the story, it is always presented in the most positive of lights. And yet the film also has strong sense of melancholy attached to it, which is always present but never overpowers the film. It is always in the background, never front and centre, but comes from the inevitable outcomes of a number of the characters and the fact that the story takes place during a time of great change; it is the end of an era and the things that Gustave loves about the world are slowly disappearing. Overall, I just fell in love with “The Grand Budapest Hotel”. It is a fantastically scripted film that is full of hilarious one liners delivered with vigour by the entire cast but particularly by Ralph Fiennes. With Gustave H., both Anderson and Fiennes have made their greatest character yet. The only issue I have with the film is that I think the “double” framing device may be a little too cute for its own good, but that is it. The film is hyper-stylised but Anderson keeps everything in check and never lets the style overpower the story he is telling. The murder/mystery, while light, is perfectly handled by Anderson and he also shows great skill in creating and sustaining suspense in a number of scenes. Also with a running time of just 100 minutes, the film is crammed to the gills. It is thoroughly entertaining and is arguably Anderson’s greatest achievement to date.